I’ve done a lot of incredible hikes this year but one that stands out. There were the incredible views on our hikes in Arches National Park and our hike into the Grand Canyon itself. But one of the best hikes was one one our our hikes near Whistler. The hike was long and pretty steep but 100% rewarding when you make your way out of the forest and are faced with this…. 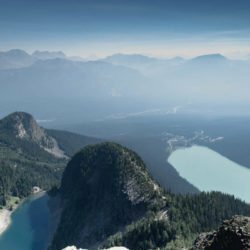 This is one hike I would definitely recommend if you’re heading to Vancouver or Whistler! Let me know if you’ve done it too in the comments below and how you found it! The Garibaldi Lake hike is in Garibaldi Provincial Park, named after Mount Garibaldi. This provincial park is just north of Squamish and just south of Whistler. 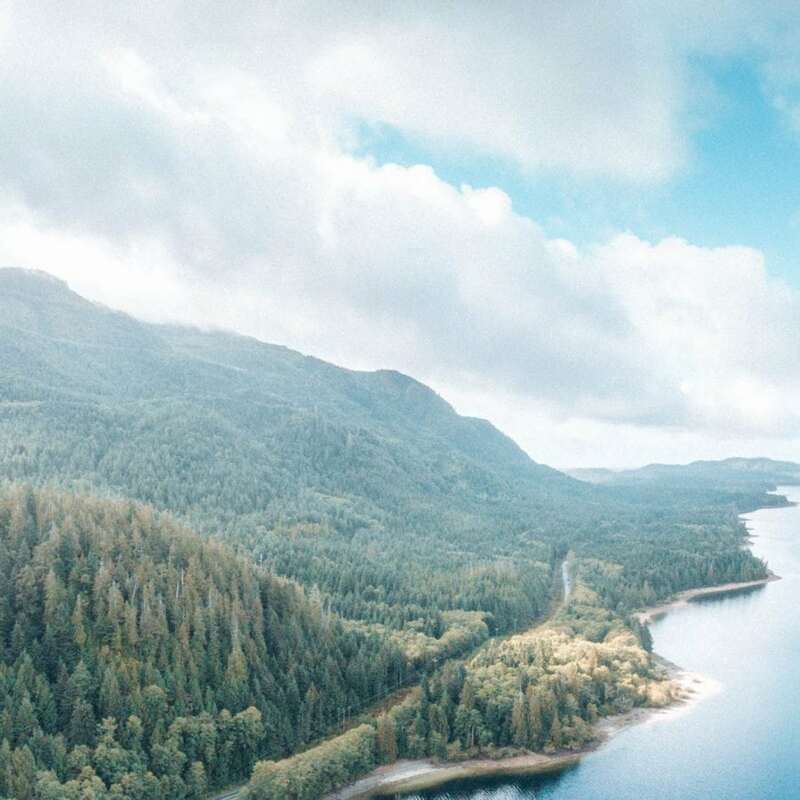 This Garibaldi hike is one of the best hikes in Vancouver. As with many Whistler lakes, Garibaldi Lake is a beautiful blue colour. The lake sits at 1,1450m high and is surrounded by snow-capped mountains (even in August when we went!) and alpine meadows. As with a lot of the lakes near Whistler, this isn’t a body of water you’ll be finding yourself doing sustained swimming in. It’s glacier-fed (aka FREEZING). Although it is nice to jump into quickly after you’ve got pretty hot and sweaty on the hike! Hiking to Garibaldi Lake is a great day hike and there are plenty of different routes should you want a camping and hiking weekend such as Black Tusk which Thom and a friend did a few weeks later. The Garibaldi Lake hike starts at the car park called Rubble Creek. Be warned that you should turn up very early if you want to get a spot in the car park. We turned up in the early afternoon and ended up having to park about 2km away from the start of the trail! The first 6km of the hike takes you through a forest of Western Red Cedar and Douglas Fir trees and feels like a pretty long slog after a while (especially if you’ve got camping stuff with you!). Just past the 5km mark you’ll see a sign pointing off to a view of The Barrier. The Barrier Lake hike diversion takes you a short way off the main trail to some great views of how far up you’ve already climbed! The Barrier is actually a lava dam and is 300m thick! As you reach 6km you can either choose to extend your hike slightly by heading off to Taylor Meadows or head straight to Garibaldi Lake. One you’ve reached this part most of the climbing is behind you and you’ll finally see some water in the form of Barrier Lake and Lesser Garibaldi Lake. Both are beautiful colours but are just a tease of what’s to come in a few more kilometres. Once you leave Lesser Garibaldi Lake you’ll cross a wooden bridge which takes you over Taylor Creek. Stay on the path for Garibaldi Lake and you head down down some more switchbacks to the lake. 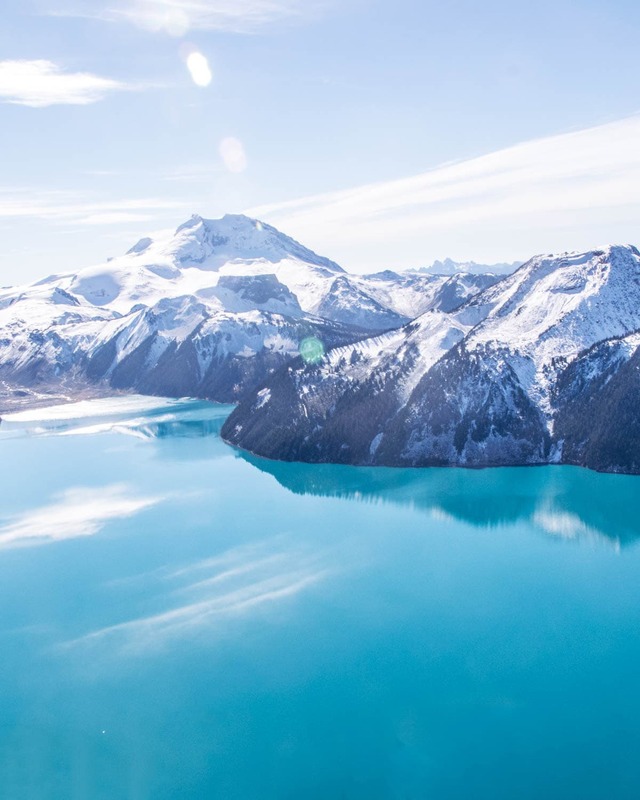 It’s here you’ll be rewarded with a spectacular view of Garibaldi Lake, and the Sphinx Glacier above it! In addition if you’re familiar with Black Tusk trail and the Panorama Ridge trail you’ll be able to see these famous viewpoints. You’re in luck if you want to go camping near Whistler. Garibaldi Provincial Park camping can be booked online and includes Garibaldi camping up at the lake or at the Taylor Meadows campsite. There are 50 camping spots around Garibaldi Lake but they do get booked up early. 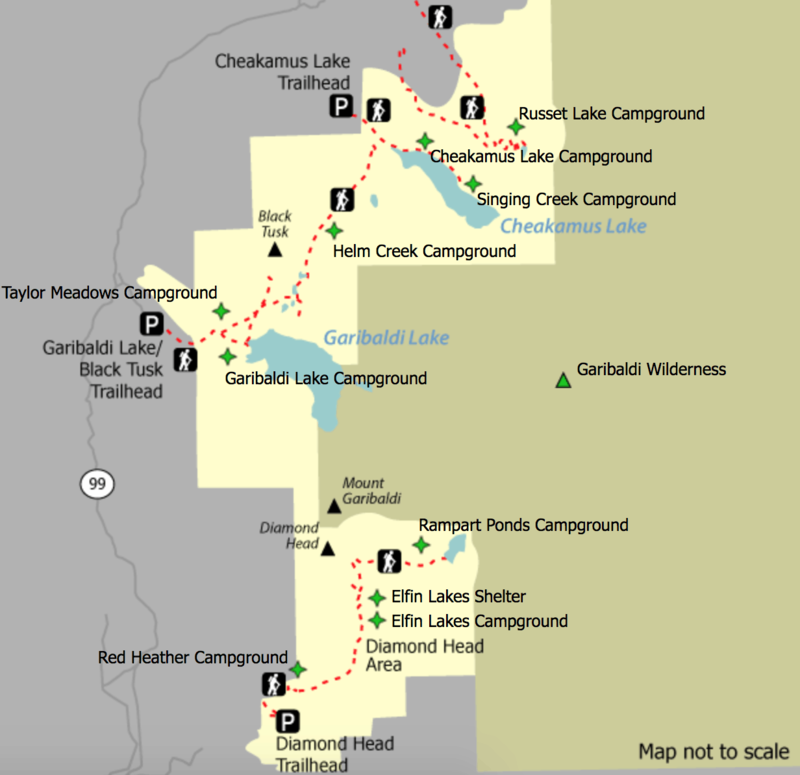 Besides the Garibaldi campground, there’s also the Taylor meadows campground. The meadows are gorgeous, especially in late spring/summer when the wildflowers are out. Between June 29th and September 30th you MUST book a spot. At all other times I’d suggest you do anyway – you won’t want to turn up and find all the spots are gone! 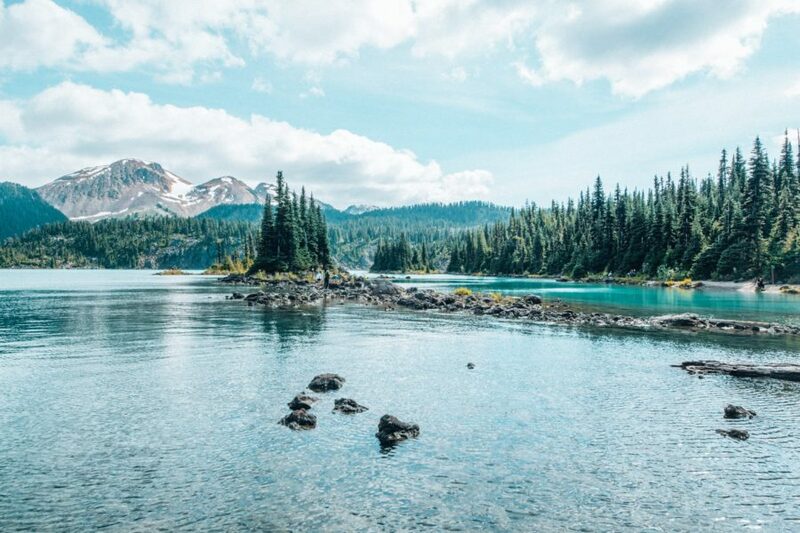 To book your spot at the Garibaldi Lake campground head to the Discover Camping website. 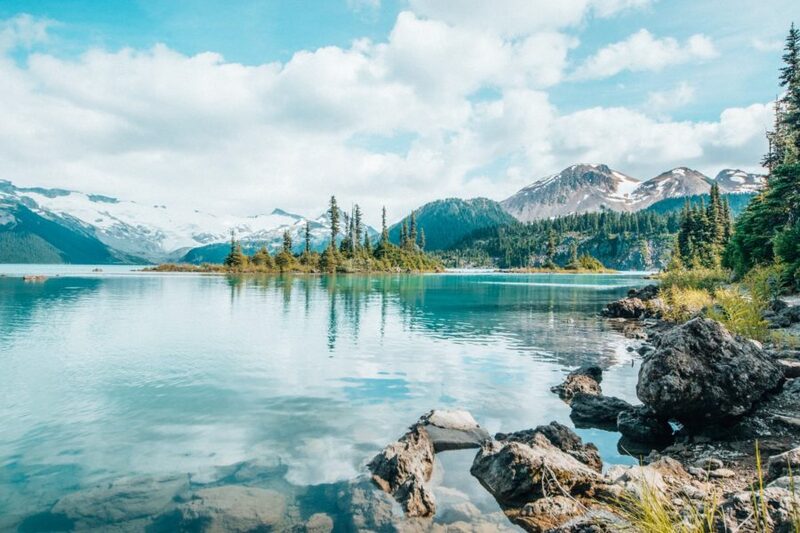 Here’s how to get to one of the best hikes in Whistler in Garibaldi Provincial Park. The hike to Garibaldi Lake starts at Rubble Creek Trailhead. You could also hike from Helm Creek but this will be a longer hike. The Rubble Creek trailhead is 36.5km north of Squamish and just under 28km south of Whistler along BC’s hwy 99. It’s well signposted from both sides. 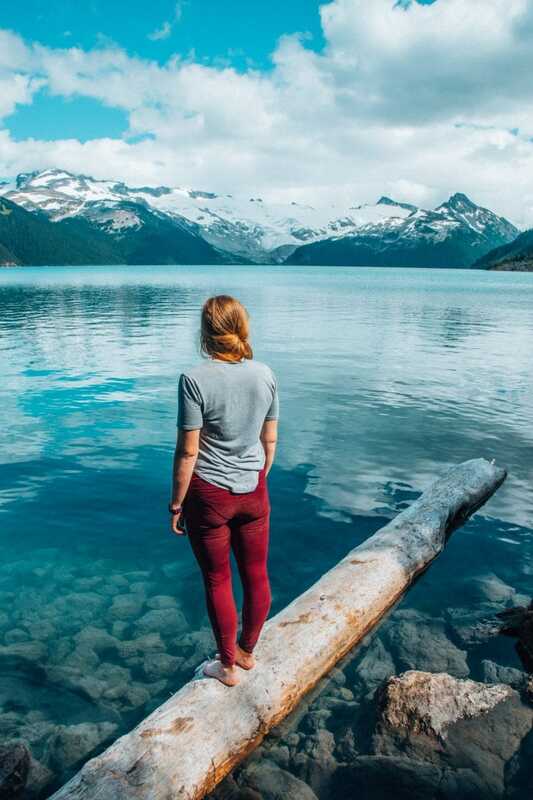 There are so many hiking trails in Garibaldi Provincial Park and it’s super easy to extend your hike, there are lots of campsites as well as backcountry camping available too. 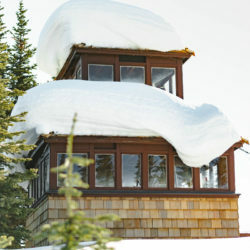 The most popular hikes in Garibaldi Park are the Black Tusk hike and the Panorama Ridge hike. These are some of our favourite local hikes. It’s important to check the trail conditions for all hikes near Vancouver, especially the Whistler hiking trails which tend to see snow earlier than The North Shore. Remember to check the Garibaldi weather before you go but remember that this doesn’t mean the trail is safe just because the Garibaldi Lake weather is sunny. There could lots of snow of ice on the trail. Also remember that the Garibaldi weather differs from what we get here in Vancouver, it’s a pretty long way away after all! Here are some tips for finding the Garibaldi lake trail conditions. Ask in facebook groups: there are lots of Facebook groups for hiking in Vancouver. These are a good place to ask about trail conditions for all hikes. The Garibaldi Lake hike trail map can be seen below as it’s a very basic map of the whole of the Garibaldi Provincial Park; home to some of the best hikes near Whistler. Hi, Hannah! This trail looks amazing! Photos are beautiful. You provide some very useful tips also, which makes it even more interesting. How will you advice one to pack for this trip? I went during the summer so I didn’t really need too much – I hiked it there and back in an afternoon with just some good trainers, a coat (in case it rained!) and a jumper and plenty of water and snacks! If you’re going in fall/winter you’d probably need some warmer clothing and would be best to check the weather as it has been snowing a lot in Whistler recently already and there might be some snow on this trail!